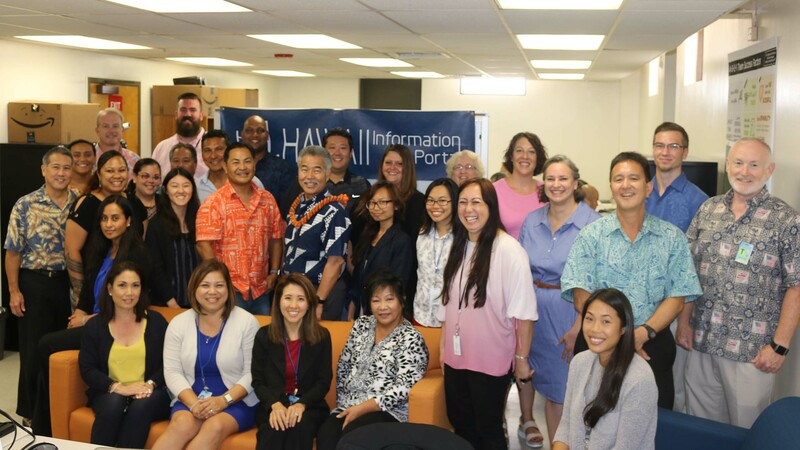 The Ige administration has modernized state government operations, including new payroll and tax systems, a dashboard to track projects, and a paper reduction program to convert to digital documents for cost savings and resource conservation. Tax System Modernization yields taxpayer, state benefits – In November 2018, the state’s Department of Taxation rolled out its largest phase of modernization, which improves taxpayer service and fraud prevention and helps ensure everyone pays their fair share of taxes. It’s anticipated that the result will be substantial additional tax collections in FY 2019 and beyond. Payroll modernization improves services – The project, implemented by the Department of Accounting and General Services (DAGS) and the Office of Enterprise Technology (ETS), has transformed the state’s massive payroll system into a new computer-based “best practice” operation. Some 65,000 employees have been enrolled to provide better services. Hawai‘i Department Dashboard increases transparency – The award-winning Dashboard tracks more than $450 million in spending for some 600 projects from 16 state departments and is accessible to the public online. It provides a strategic, visual roadmap for accountability and IT project planning. Overall, Hawai‘i has been ranked first in the nation for emerging tech use.